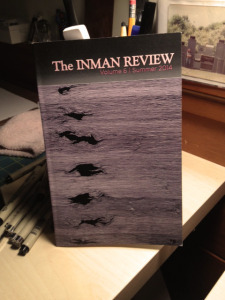 TDCW#3 is the on the cover of the Inman Review! Proud to be featured in (on?) this literary magazine from Cambridge, MA. Pick up an issue for $5 at 1369 Coffeehouse (Inman and Central Squares) and cozy up with some coffee and captivating content. It can also be purchased at Harvard Book Store and Porter Square Books in Cambridge. This entry was posted in Publicity on December 7, 2014 by admin. Announcing the official launch of margaretchiarelli.com! Many thanks to Cara Wojcik and Daniel Philp for their techspertise. The These Decisions Can Wait series continues. Here you will find information on where to look at and/or buy these drawings. Please stay posted for updates and news regarding a couple of exciting collaborative side projects in the works. This entry was posted in Publicity on December 4, 2014 by admin.